So it seems that my lo has got chicken pox. 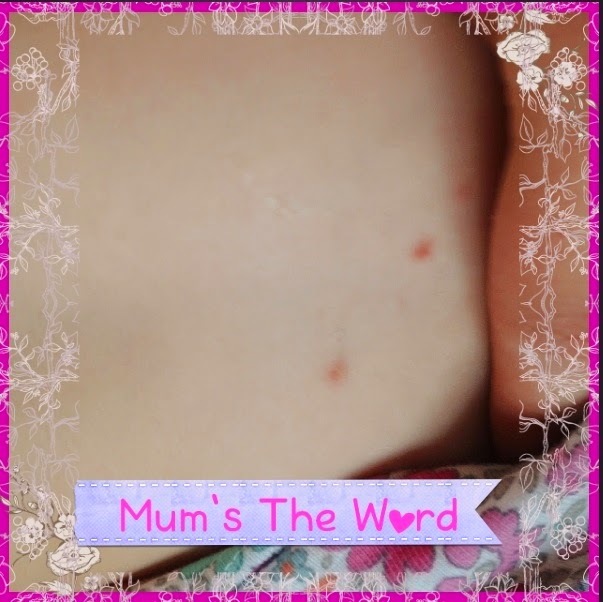 I'm going to be a running a chicken pox diary, updating you from the very start to the end, in hope that it may one day be helpful for any other parents whose going through the pox stage. My lo is 19 months, so it's a good age to get it out of the way and also she can't complain as much as she proberly could as let's say a five year old. I noticed three small spots, two on her belly and one on her chin. They looked a bit like a normal reddish white head. It was then I remembered at playgroup last Tuesday there was a boy who looked like he had dried up chicken pox spots... This is the only child that lo has mixed with that has had chicken pox, and it's the only play group that we go to. She still had a bit of an appetite, I made her some soup and she had lasagne. She drank well as usual too. But she was a bit grumpy and irritable. I thought it could of possibly been her teething, as her insisors are coming to complete her pearly white collection. I topped her up every 4-5 hours with 5ml of baby ibuprofen to help control the temperature and relieve any aches and pains.